which explains why atoms emit light in sharply defined spectral lines. induces denial whose strength is equal to the anticipated power. is a wild and crazy guess. to make the guess seem less crazy. then I can see how to change it. a refinement, or an additional guess. becomes totally unwieldy, like reality. 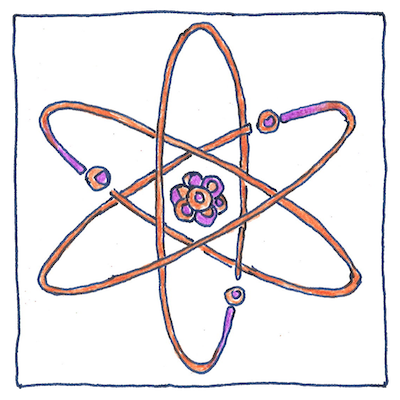 There have been other models of the atom, including the cubical atom model, which explained bonding between atoms by sharing electrons at corners, and the Saturnian model, where electrons rotate around a positive nucleus like the rings of Saturn. The Bohr model also was not the last, being superceded by the atomic orbital or wave mechanics model, in which the orbits of the electrons are described by the probability equations of quantum theory.